« The Toulouse Child Killer: Another Case of Welfare Being Used to Subsidize Terrorism? — The presence of guns leads to more deaths, whether it’s good people going bad, or good people being careless. — When good people have no way to buy guns, bad people cannot obtain guns. 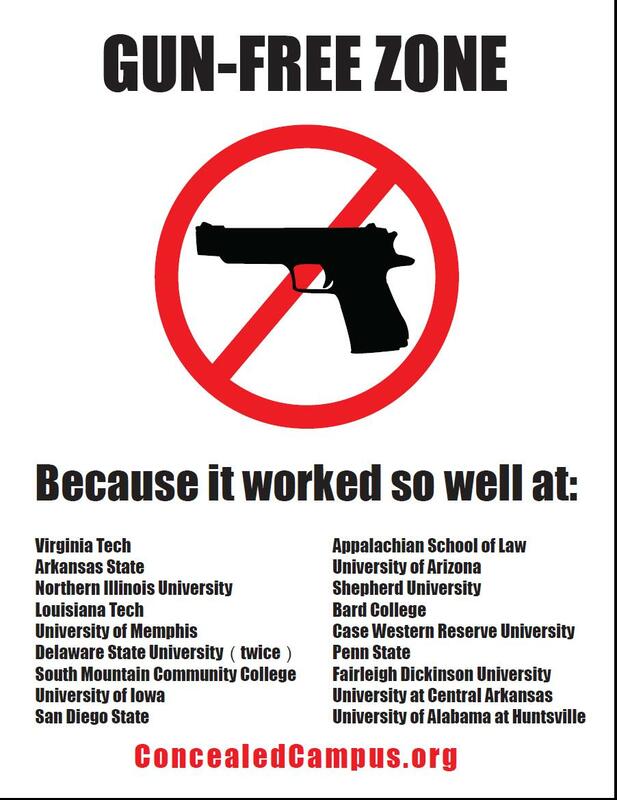 The false logic of gun free zones or a disarmed public, represents the results of years of education that foolishly told students the problem is solved by taking away guns. Yet they still fail to realize that criminals & the mentally challenged do NOT heed such laws. I do not want to shoot anyone. However, self defense is not only a legal right and a natural right, its a natural reaction to a threat. Lets look at how drugs play into the massacre situation. Prescribed drugs & gun free zones are the two real common factors in all of this. This is typical of the idiots who are trying to take our guns away! It wont work at all, but they are too concerned with geting complete control to care about anyone but themselves. Any dictator or would-be dictator (can you name one right qhickly with no trouble at all?) is afraid to allpw his subjects to own a means of defending themseves. Obama is anti-gun. Right now he is setting this country up to banmkrupt itself. He is al;so trying to create the same situation the Germans had in the years following World War I. He is following in Hitler’s footsteps. Read about the Weimar republic and how Hitler got Germany under his thumb/. on May 11, 2012 at 10:54 am Tactical-Life.com » Fox News’ “Make your own gun free zone” makes statement about gun control and “free fire zones for bad guys” (video). Clicking on your gun-free zone poster doesn’t enlarge it, can you please fix it? Many people think that letting people have guns can be bad influence on impressionable minds or that some of them might want to use it for the heck of it. Even if some of that is true, criminals/crazy people can get guns and ideas from anywhere and disarming people who would use guns for self-defense is not right. Liberals should not hope to abolish or reduce crime by gun-free laws.